Competition makes everything better. Even pregnancies. 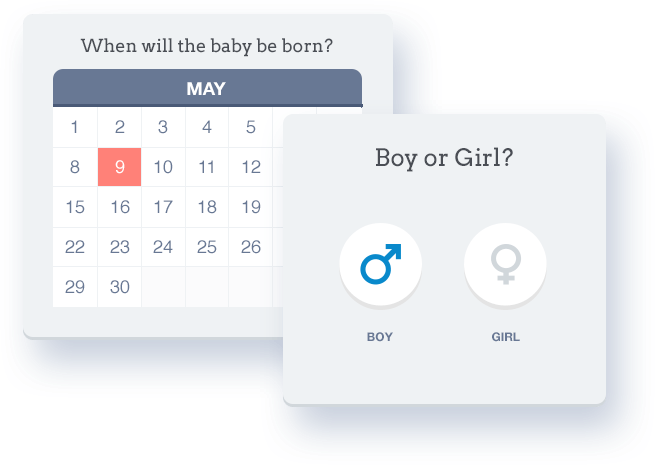 Let family, friends, or the whole dang Internet have some fun guessing baby's arrival date. 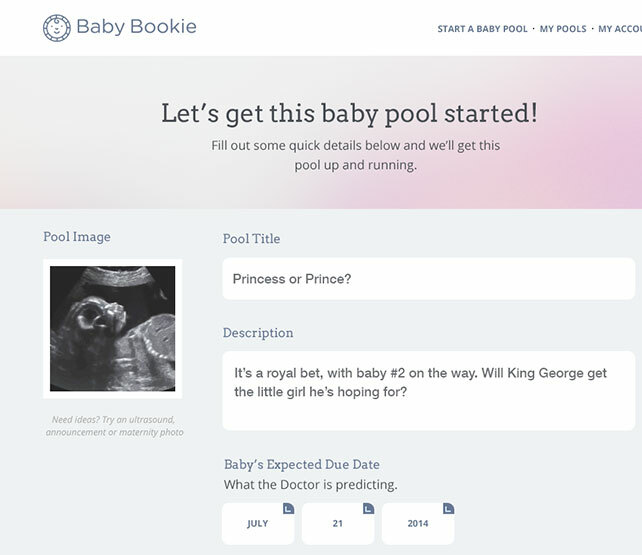 Enter a few details about the upcoming baby and customize your pool. Then all you have to do is share the fun! Invite family and friends to place their bets. See if you can outguess that so-called “doctor.” Place your bet on the baby's arrival date, gender, weight and length. Follow along as the predictions roll in. See how your bet stacks up to the rest as the due date approaches. When the baby arrives, we'll declare a winner using our critically acclaimed scoring system. 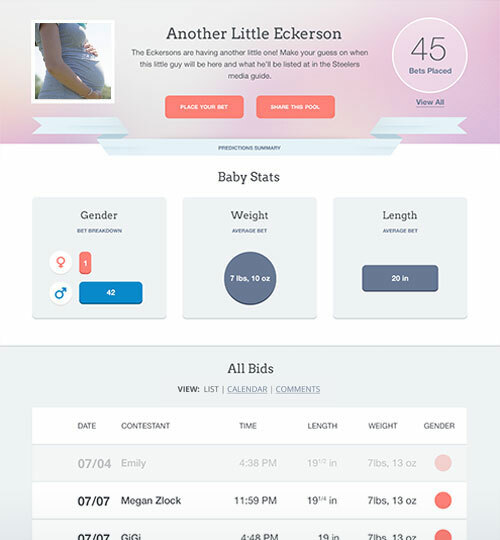 And you can share a custom virtual announcement of the little one with the world!